Extended from Debden Estate to Debden Broadway. Converted to single deck operation with Leyland Nationals. Operation transferred to Eastern National from a depot in Walthamstow - and Loughton Garage closed. Start of new contract with low floor buses. Contract assigned to Docklands Buses operated from a base in Silvertown BUT ONE SCHOOLDAY ONLY JOURNEY with Leaside Travel. This rare shot of M1326 on the 167 seen at ? 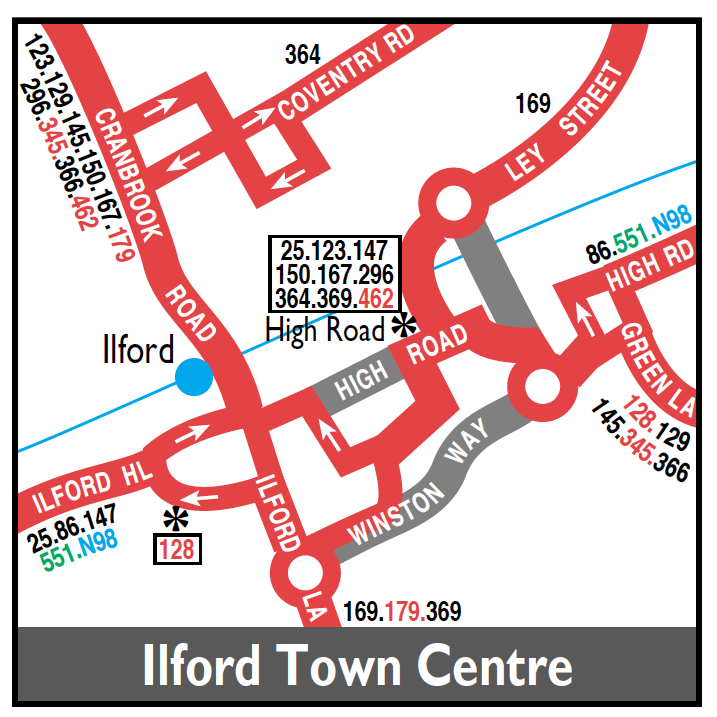 Changeover point is Ilford Hainault Street - we have 11 of the dart/nimbus combo buses but only use 10 a day numbered D1 through to D10 - with 21 M - F duties using 10 buses 20 Saturday duties using 10 buses and 10 Sunday duties using 4 buses . We use either a de licensed black taxi or a peugeot 205 and some times a dark metallic blue transit van plastered in Docklands minibus logo. Thanks to Graham - a driver at Docklands for this information.